Is a condominium a good investment? Sure it is, as long as you keep two things in mind: First: buy your unit from the country’s top property developers. Next: location, location, location. Stick to these dictums, and you will get a good resale value for your purchase years from now. Global real estate brokerage RE/MAX Philippines country manager Kenneth Stern (Seen in photo), shared these tips to Manila Standard just before the end of the year. RE/MAX is the world’s leading franchisor of real estate brokerage services. It was founded in 1973 by Dave Liniger. The name stands for “real estate maximus—maximum commission for the agent, maximum credibility for the franchise owner and maximum service for the company’s clients.” RE/MAX was established in the country in 2012 and currently has offices in Metro Manila, Laguna, Rizal, Clark, Iloilo, Palawan, and Siargao. According to Stern, while there are so many developers out there which all seem to be credible investments and seem very similar in quality, investors have to base a condo unit’s investment value on the resale market. Ayala Land Premier’s Park Terraces, The Residences at Greenbelt and One Serendra and those by Rockwell Land have performed very well in the secondary market based on how much the properties’ value increased since their launch. RE/MAX has seen the most growth in Arthaland’s Arya Residences in Bonifacio Global City in Taguig. 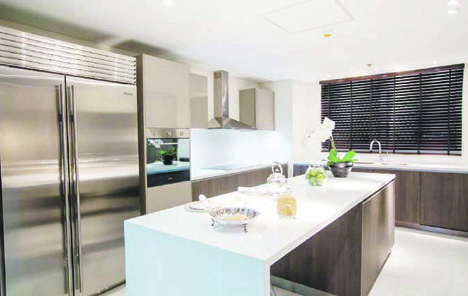 The first residential high-rise in the country that is both LEED- and BERDE-certified, capital values of condo apartments in Arya surged to more than 150 percent since the project was launched in 2009. Bang for your buck. Locations condos in Makati and Bonifacio Global City, as well as the Rockwell Center, embody what condo investors are looking: prime location and proximity to the business district and commercial areas. Ayala Land Premier’s West Tower at One Serendra in BGC is another project that boasts of a high resale value, according to RE/MAX. From P108,000 per sqm in 2008, prices at West Tower are now at P230,000 per sqm, a 113 percent increase in value over a nine-year period. 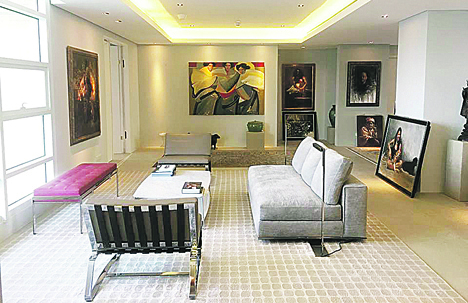 Capital values of condo units at The Residences in Greenbelt and Park Terraces, also Ayala Land Premier projects but in San Lorenzo, Makati, have gone up by 112 percent and 50 percent respectively since their launch dates. 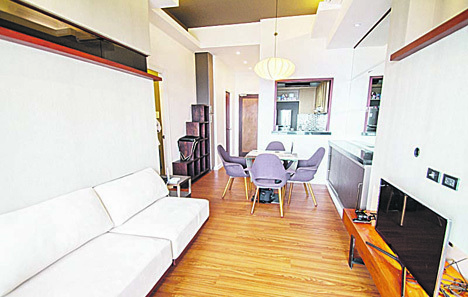 Units at Rockwell Land’s Edades Tower sold for P130,000 per sqm when it launched in 2009. Now they’re selling for P250,000 per sqm, a 92 percent increase in the last eight years, according to RE/MAX. “We are seeing a lack of supply in villages and the thing is you can’t build more. There is a limited supply in the number of house and lots in the Philippines that is causing an increase in pricing. 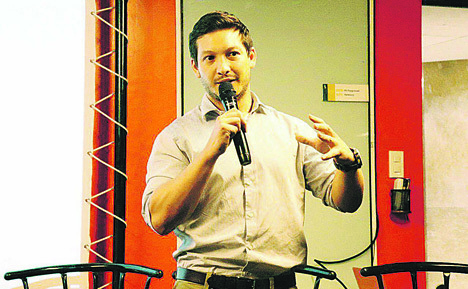 So if you want to buy a home in Forbes Park, you’ll need about P500 million to afford one, on average,” Stern said. RE/MAX is working towards changing the real-estate industry into a more professionalized marketplace, explained Stern. The real estate brand was brought to the Philippines by Elizabeth Dueñas, a Guam-based broker, in 2012, and since then started offering franchises to local brokerages and professionals. Here’s how the company’s franchise works: an independent broker, an existing real estate brokerage, or an entrepreneur or property specialist from a developer buys a franchise for which they will receive marketing support and other services, ranging from website access and tech support and access to listings database and CRM, to trainings, discounts to partner vendors, blanket accreditation with developers, and access to international RE/MAX conventions, among others. They also get access to a network of franchise offices and agents with whom they can co-broker with and share listings. After setting up, the franchise can recruit its own real estate agents. The company’s business model offers a maximum commission concept that allows top producers to earn more of their commission back in exchange for their share of the office expenses. This allows for the unlimited earning potential for the agent, and a predictable income model for the franchise owner. But Stern stressed that their franchising model is more than just selling real estate. Over the last five years, RE/MAX has built a name in Metro Manila as being the go-to brokerage for buying or selling homes. “We even have the global awards to show that the system works,” said Stern. One of the company’s broker-owners is ranked second globally in residential brokerage (outside the US and Canada), while the Philippines produced seven Hall of Famers since 2012. A Hall of Famer means that the RE/MAX agent has earned commissions worth $1 million (approximately P53 million) and above.